The race that stops a nation - but should it? 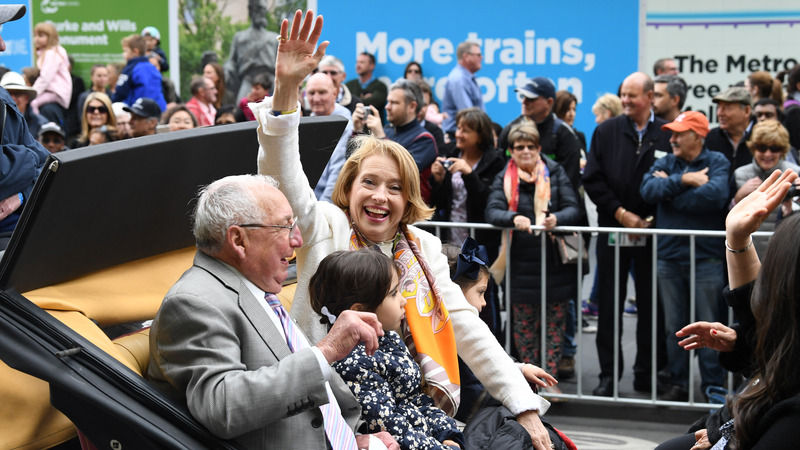 Australia’s queen of racing, Gai Waterhouse, has rubbished calls to make the Melbourne Cup a national holiday. “It’s the silliest thing I’ve ever heard in my life,” said the horse trainer at yesterday’s annual Melbourne Cup parade. Waterhouse’s comments follow calls by six-time Cup winner, Lloyd Williams, to make the first Tuesday of November a national holiday so all of Australia can enjoy the iconic race. But according to spectators at the parade, most Australians just take the day off anyway. Jenny and Colin McCarthy from Sydney said they hadn’t worked a Melbourne Cup day for more than 30 years, despite it not being a public holiday. “There are a lot of sickies on Melbourne Cup day in Sydney,” Jenny said. “I used to work in a Telecom building and inside the telephone exchange on Cup Day at 3pm, everything stopped dead,” Colin added. Jenny Peabody, who travelled from Perth with her two best friends for the festivities, said everyone in WA clocked off come race time. “Not very many people work on the Tuesday. Everyone has lunches, all the pubs are chock-a-block,” she said. Victoria’s Racing Minister Martin Pakula embraced the idea. “The productivity around the country at 3.20pm is not that great anyway,” he said. “They might as well declare it a holiday and everyone can enjoy the wonders of the Melbourne Cup,” he told reporters. 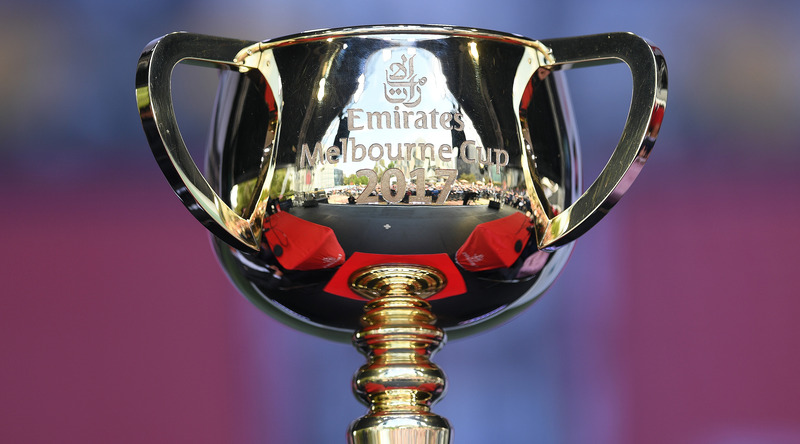 “It’s un-Australian not to take Melbourne Cup day off, isn’t it?” Melbourne Lord Mayor Robert Doyle added. After yesterday’s off-field festivities, the eyes of the nation turn to the track today. Superstar Italian jockey Frankie Dettori hopes he can finally break his Melbourne Cup hoodoo, returning for his 16th attempt in 24 years. 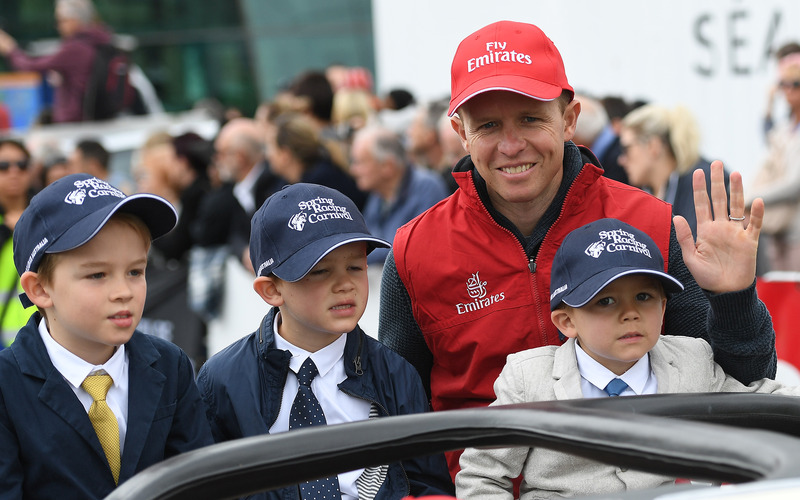 Dettori rides defending Cup champion Almandin for owner – and the jockey’s good friend – Lloyd Williams, who has won the race a record five times. “It’s one of the best races in the word,” Dettori said. Dettori has ridden the winners of most of the world’s greatest races, but the closest he has come to claiming the Melbourne Cup was his second on Max Dynamite in 2015. “To me the Melbourne Cup is one of the biggest races in the world and I haven’t won,” Dettori said. The 46-year-old won Europe’s biggest race, the Prix de l’Arc de Triomphe, for a record fifth time a month ago. He picked up the ride on Almandin following three-time Cup winner Damien Oliver’s suspension. Williams has six runners in this year’s Cup: Almandin, Johannes Vermeer, Bondi Beach, US Army Ranger, Gallante and Rekindling. His construction boss mate Phil Mehrten has stakes in seven Cup horses; all of Williams’ horses bar Gallante as well as Marmelo and Wall of Fire. As of Cup eve, Almandin had been displaced as Cup favourite by English horse Marmelo. Hughie Morrison, who is trying to become the first English trainer to win the Cup, doesn’t plan to give jockey Hugh Bowman riding instructions. A record-equalling 11 horses trained in the northern hemisphere are in the field including 2015 runner-up Max Dynamite, one of three runners for Irish trainer Willie Mullins. Whether Dettori gets to show off his trademark flying dismount a few minutes after 2.30pm (Adelaide time) remains to be seen. “The star jump is the easy part,” he said. First-timer Cory Parish is approaching the Cup as if it is just another race. The jockey would normally be riding somewhere like Echuca on Melbourne Cup day. Parish had never ridden in a top-level race until two weeks ago, when he guided last-minute entry Boom Time to an upset win in the Group One Caulfield Cup. Now the pair are lining up in the Melbourne Cup. “You try not to think about it too much,” the 28-year-old said after being part of the Melbourne Cup parade. “Obviously it’s just another race. Yes it’s a very prestigious race, but that’s how you’ve got to look at it. Three-time Melbourne Cup-winning jockey Glen Boss shared some good advice with Parish. “He said you just want to start well, you’ve got a good barrier and you pretty much want to turn the engine off, go to sleep and then start it back up and go again. Parish now has the chance to win the Caulfield/Melbourne Cup double. “It’s just a dream to be able to ride in the race, that’s what your hope is through your whole career. Kathy O’Hara, the only woman to ride in this year’s $6 million race, is feeling relaxed and confident ahead of her first Cup and happy that people are embracing Single Gaze. For a time, it looked like Single Gaze, trained in Canberra by Nick Olive, might not make it back to the track at all after she and O’Hara crashed to the turf in the 2016 Australian Oaks. “It’s a long way from being on the deck at Randwick to being in a Melbourne Cup,” O’Hara said. “Never say never with this horse because you can’t discount anything with her. Winning a Melbourne Cup would be a dream come true, O’Hara said. “It would mean the world to me, not only just me and my career but also to win for Nick and all of the owners in this horse. Beau Mertens is the only apprentice riding in this year’s Cup, aboard the Gai Waterhouse and Adrian Bott-trained Cismontane.